What are you doing this weekend? I'm coming in to work (Boo!) but will me meeting my family for dinner tomorrow, so yeah, it's still something I am excited about this weekend. It's almost mid-April, 3 more weeks to go and it's gonna be my birthday! Have you gotten me my gifts already!? 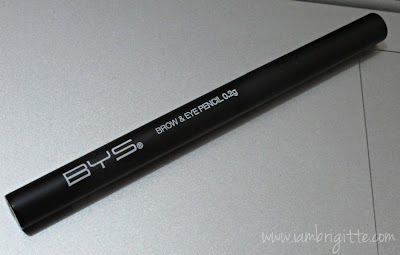 For today, I'll be telling you about the BYS Brow pencil. 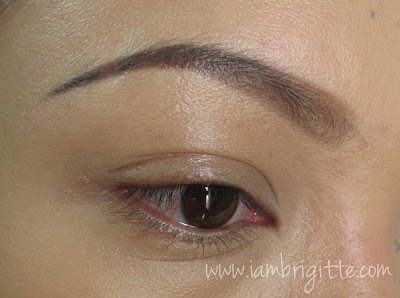 You know me, I'm obsessed with my brows so I am always on the look out for good brow stuff. If you've watched my eyebrow tutorial, you'd see that I use a lot of products. 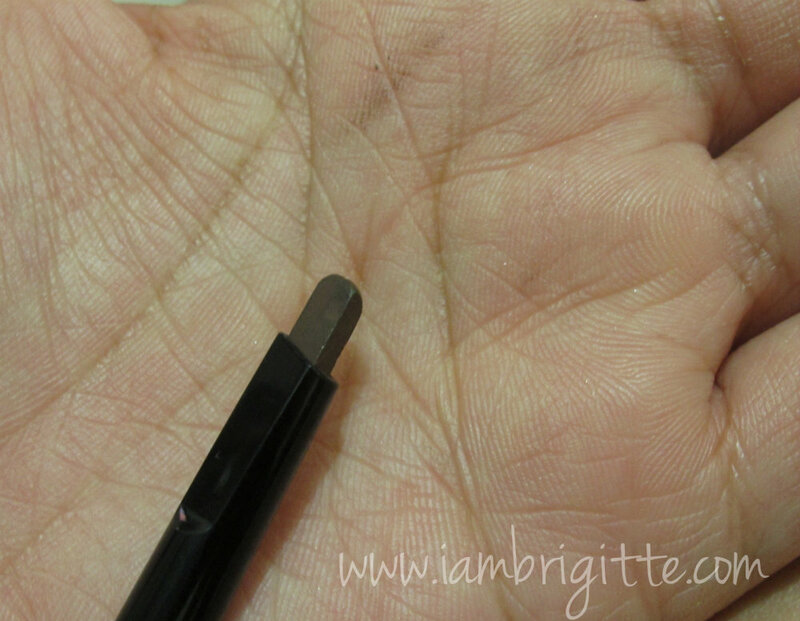 This pencil can actually cut it short by a wee bit, as this can already replace my pencil and brow powder...plus my k-palette brow liner even, if I don't need to make sure that I'll still have my brows intact the whole day. 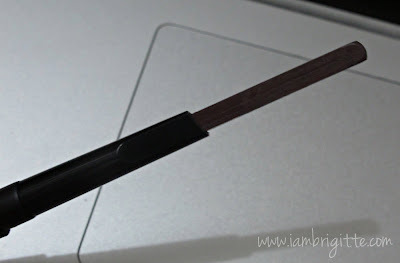 The shape reminds me of the Shu Uemura eyebrow pencil in Naginata cut. Such cut is said to make filling in your brows a lot easier. 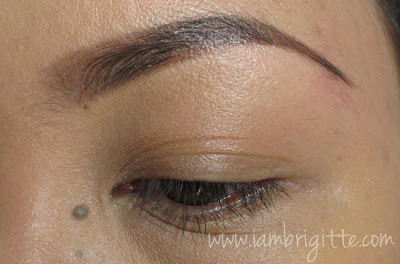 The strokes would look like brow hairs too, so it looks more natural. Unlike the other brow pencils I've tried, this one from BYS is a bit soft and waxy. It stays in that texture so yeah, this is not for those with oily skin as this is not smudgeproof. I don't mind though because I'm used to setting my brows with either my Majolica Majorca Brow and Lash colorist or MAC Brow Set in Girl Boy. Can also be used as an eye liner, but since it's not smudgeproof you would have to set this with a powder eye shadow so it won't slide off and give you panda eyes. Overall, I like this product. 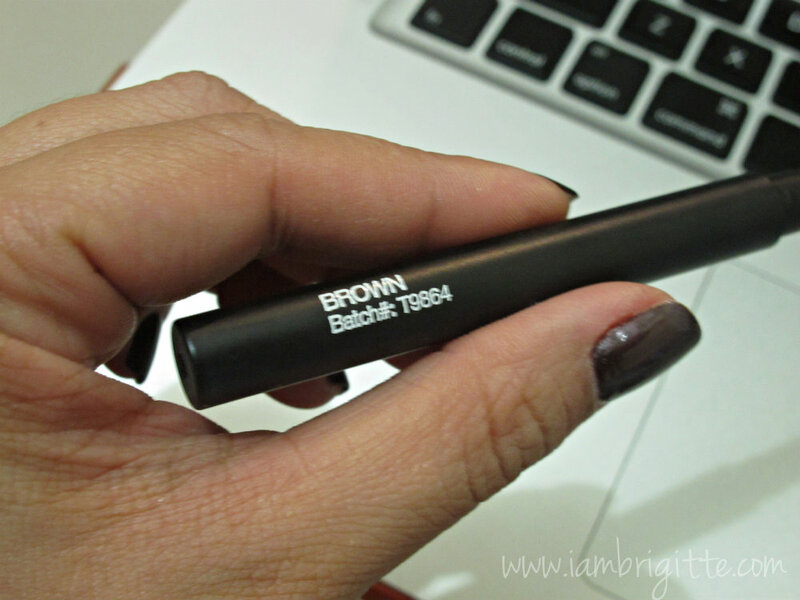 It's great for days when you're being a bit lazy to go through your usual brow routine, and still want great looking brows. I am getting this in Blonde, as this one's a bit dark for me. Check out their products at SM Department Stores and selected Watsons outlets. You can also follow BYS Philippines on Facebook.